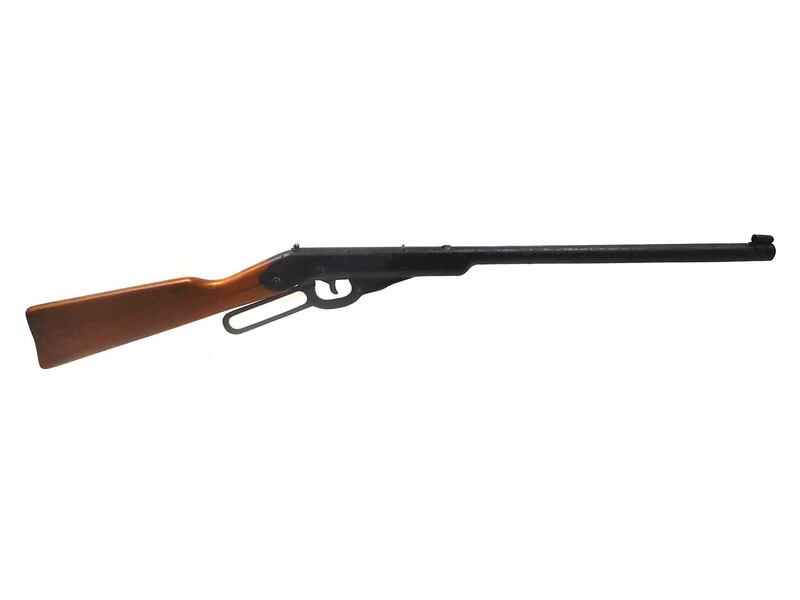 The Daisy model 195 is a lever-action BB caliber rifle. 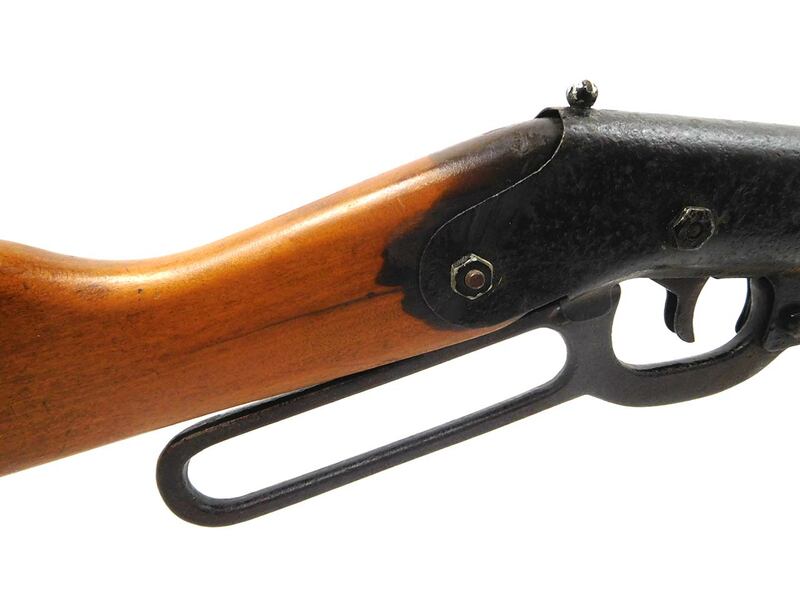 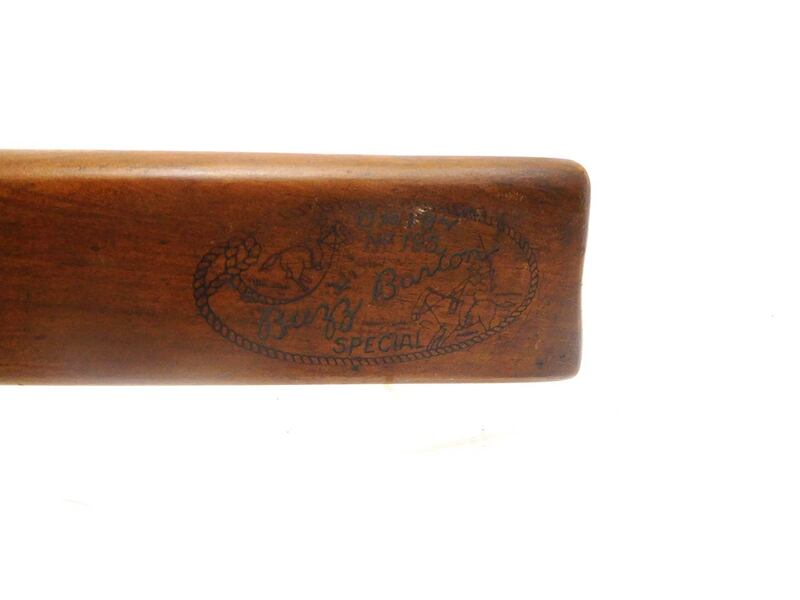 This gun is also known as the Buzz Barton Special, and is a 1,000 shot straight barrel gun. 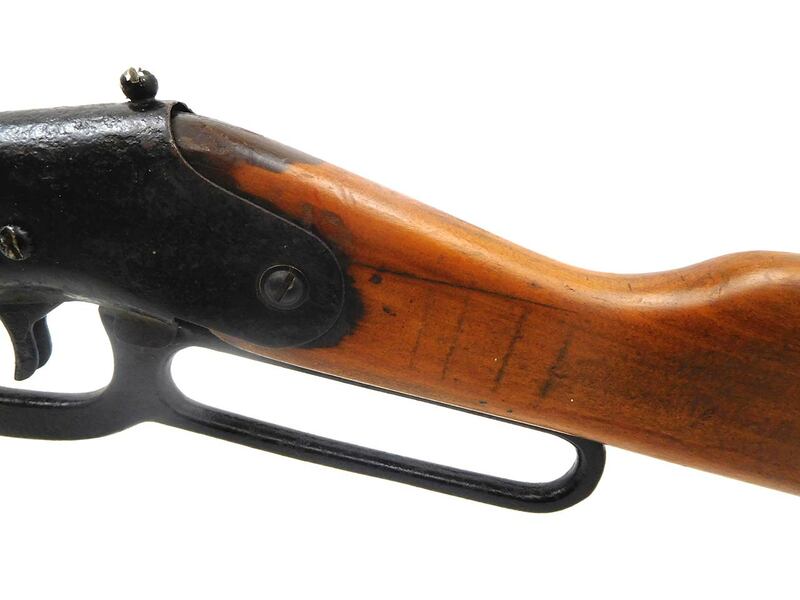 The model 195 also has a plunger housing with a patch shoulder underneath, and a cast iron lever. 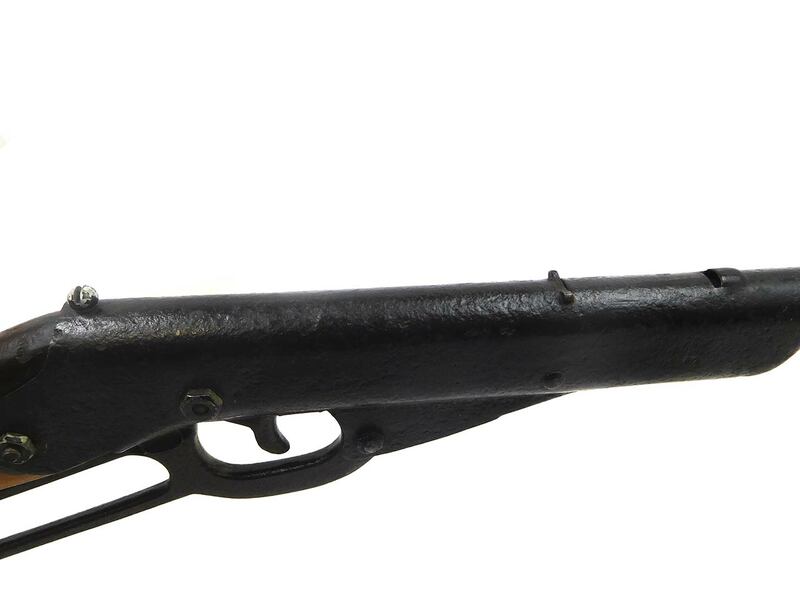 This rifle does not work, and it may not even have all of its original parts. 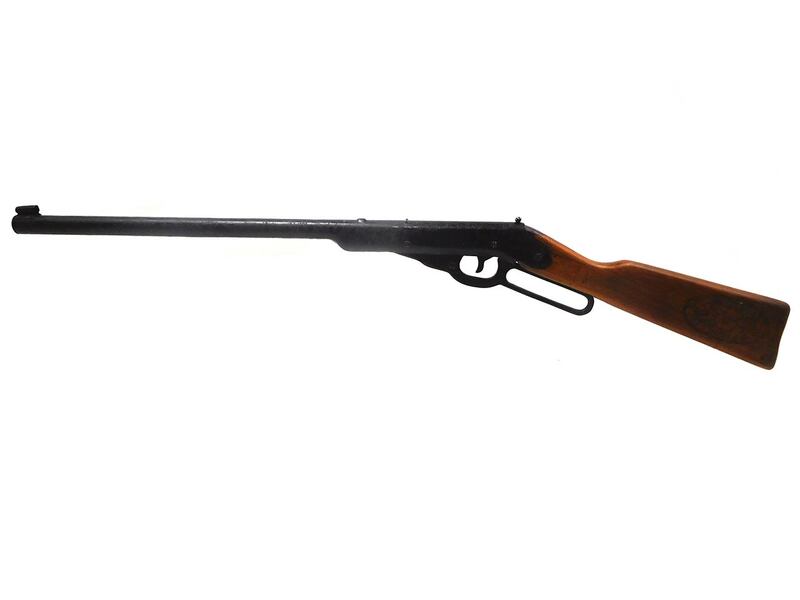 It’s being sold “as is” with no returns as a collectable or for parts. 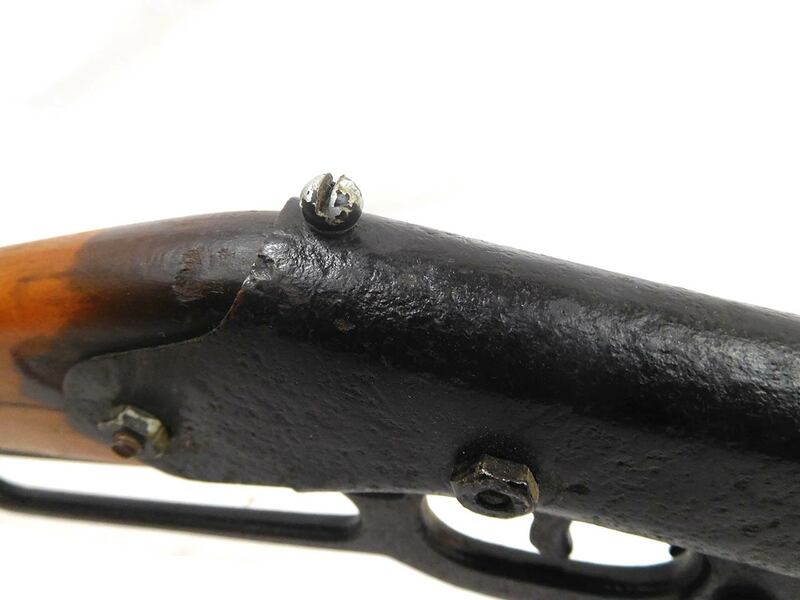 The metal might have been repainted, and is in about 50% condition. 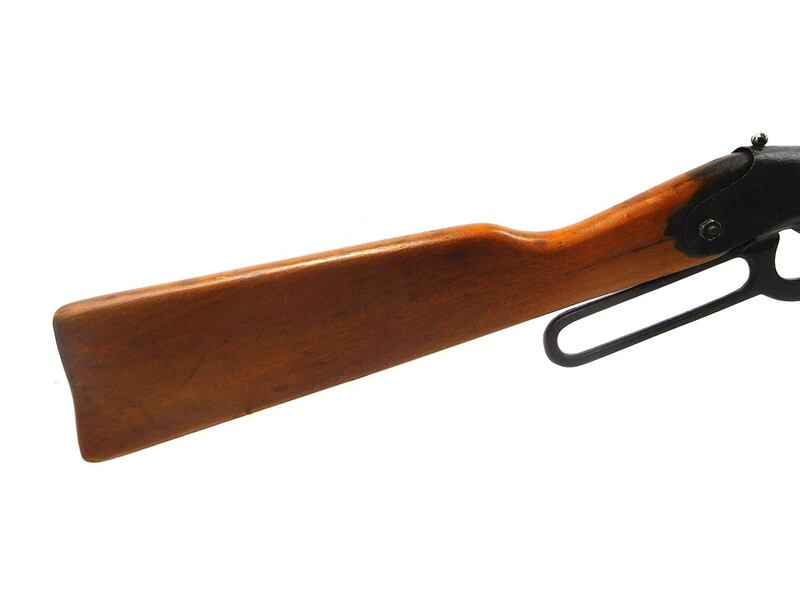 The stock is in about 75% condition and has a tight crack.